Patented strap system provides easy application and removal. Pre-inflated bladder protects strut. Liner holds foot in position relative to pressure relief insole. 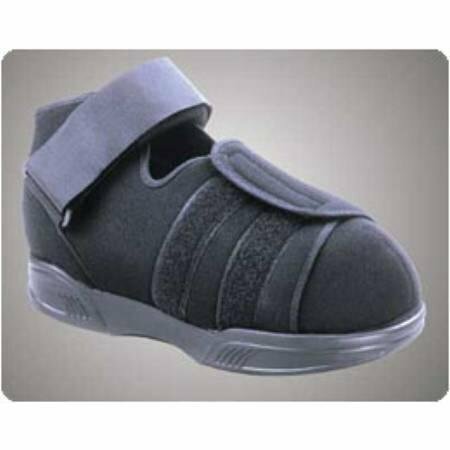 Short leg walker helps reduce shear by fixing the ankle at 90¡ and incorporating a rocker bottom sole, absorbing hexagonal pieces for customizable pressure relief. Toe piece of shoe can be removed. Latex free.